Shore fishing in Dorset normally peaks in October, early reports suggest that this October will be no different. You have all of the summer species still around, and the winter visitors arriving by the day. The summer species are in the peak of condition, especially the Plaice that have put on lots of weight since their return from spawning in March. I should have posted at least a coupe of reports since last week, but with a combination of a heavy guiding schedule and my daughter being rushed to hospital, the reports have had to take a back seat. This week should be different. Even though I have a very busy week with two days filming, then the remainder of the week guiding, the reports will hopefully keep rolling. Adrain who is normally the background part of the team, is going to step forward and start publishing some of the tackle reviews that we have been working on over the past few months. Expect to see lots of great features over the next month. This month is when I really hit the lures hard in search of Bass, Pollock, Garfish and Mullet (yes Mullet), but I no plenty of other anglers are looking forward to the start of the Cod season. This weekend produced a bit of both, keeping lots of anglers happy. I will start with a picture of Adrian’s early morning Bass, taken by photographer Gavin Parsons, that kicked off October for us. The Bass weighed exactly 3lb and was landed on a Tackle House Feed Shallow in Mullet which is an absolute classic lure that deserves its place in everyone’s lure box. I also had a fair bit of success, but the details of that are being kept for another feature. After our early success we headed over to Chesil to try for some Garfish on surface lures. I met my friend Paul and had a quick chat. Paul has been doing very well in the Cod already this year, and even as I stood there I noticed his rod tip give a very positive nod. 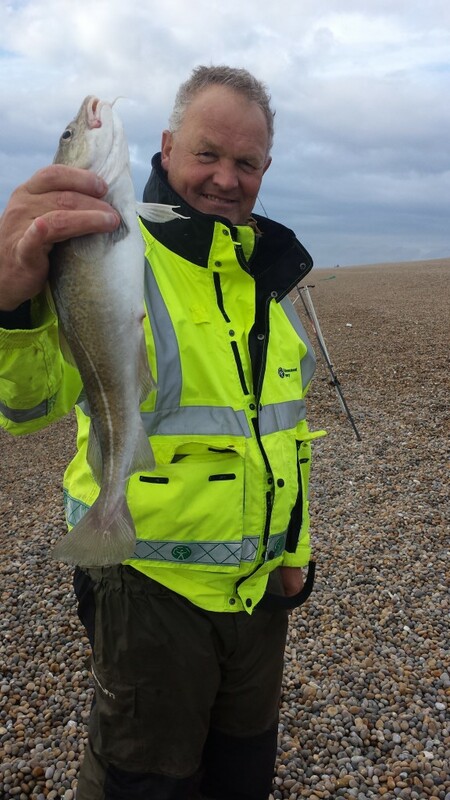 A couple of minutes later and he had beached another Codling. I have lost count the amount of Codling he has had over the past two weeks, but it is well into double figures. He also had a couple of nice Bream and a Gurnard. Quite a few people have been asking me if the Mullet are still around. The answer lies in the picture below. 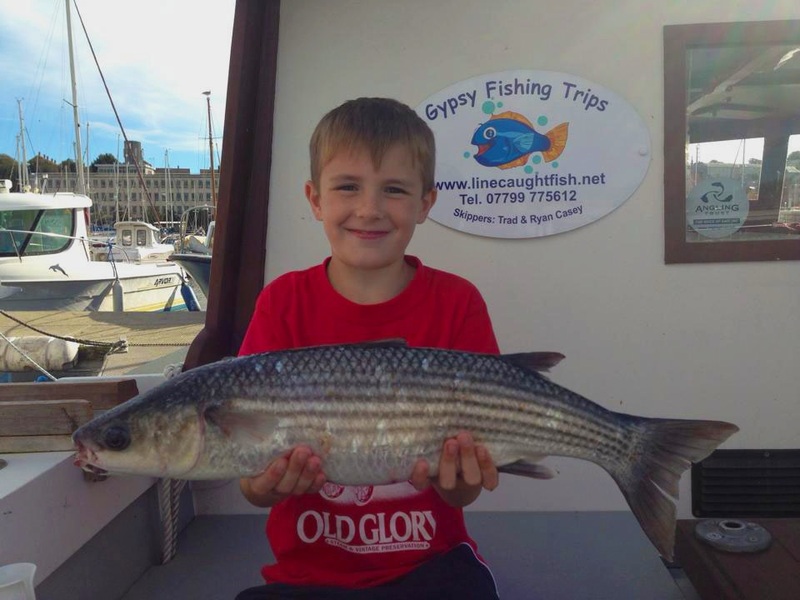 Ethan Casey landed this lovely 4lb 11oz Thick Lipped Mullet from his dads boat in Weymouth harbour. The fish was quickly weighed and confirmed as a new club boat record, before being safely released again. There are still plenty of Mullet in the harbour, but they are also shoaling up in Chesil Cove. Chesil Beach forecast: At last the Black Bream seem to be feeding well and I would expect to see a good few caught from the wrecks and reefs along Chesil over the next couple of weeks. Smoothound are still around and some of them are into double figures, which is a very good size for Chesil. There is no sign that the Mackerel are not going to be around for a bit yet, and the Garfish are everywhere. Codling should start to show up regularly, especially from the deeper water marks. Dragons Teeth at Abbotsbury is always worth a try, as is the far end of the bird sanctuary at the Weymouth end of the beach. Plaice and Sole fishing is at its best now, with some lovely plump specimen Plaice showing all along the beach. The Sole seem to be congregated towards the West, with Cogden being one of the best spots. Portland: This is the time to get your lures out and target the numerous Pollock, Garfish, Wrasse and occasional Bass from around the Island. With the exception of the Wrasse, dawn and dusk are by far the best times to target the fish. If you want to stick with bait fishing and don’t mind losing some tackle then day time Wrasse fishing should be hectic. Evening sessions will produce Pout, Pollock, Bass and Conger from most of the rock marks. Head to Church Ope Cove for the chance of something different. Rays and Sole are always a possibility from there. 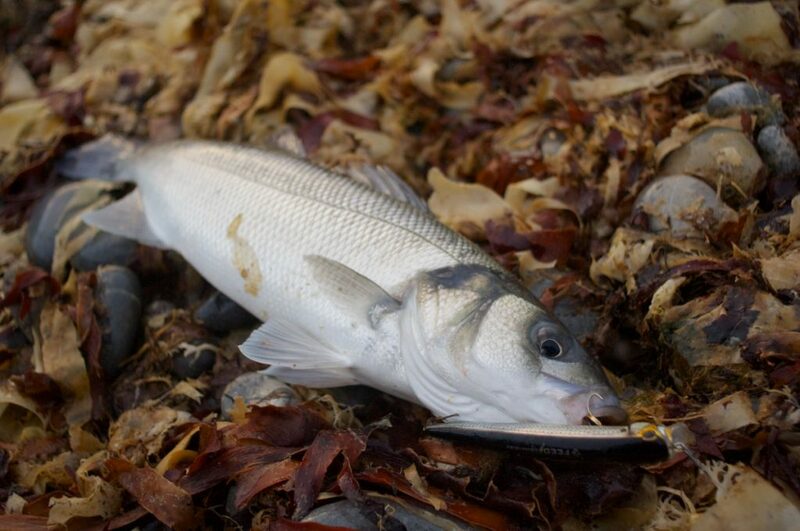 Portland Harbour: Lots of Mullet and quite a few Mackerel have been caught from the harbour. Bass have been very thin on the ground in the harbour this year for some reason. Flounder are always a possibility and can be caught just about anywhere in the harbour. Weymouth Bay: Lots of different species are in numbers from both piers. Although a lot of the fish are small, there are some good fish amongst them. Squid are showing on the beach, which usually means they will appear on the pier soon. Flounder, Dabs, Rays and Bass are all possible from Preston Beach. Don’t cast out too far or you will lose your tackle on the reef that runs parallel with the shore. The squid are on the pier for definite, i saw another blogger posted a picture of one from the stone pier last saturday, so myself and my mate thought we’d spend a few hours of the Saturday evening just gone, targetting squid for the first time! Having heard that the pleasure pier normally produces at this time of the year, we arrived around 8pm, just after high tide, to find around 8-10 other anglers lined up underneath the sealife tower! We decided to wander to the right, so were about midway between the actual pleasure pier and the tower. Having never caught a squid before, my mate Jay exclaimed that he’d hit as patch of weed around 30 yards out, but when it surfaced and starting spitting water everywhere, we realised that it was in fact what we had turned up to catch! Between us we managed 5 in about 2 and a half hours, on a light spinning rod it was cracking sport so will be going again soon! Well done Matt. I am going to have to get myself down there for a go myself. Can’t beat a nice squid for dinner, my mate had one off chesil 6weeka ago. Was so yummy That I may get out try for one myself.